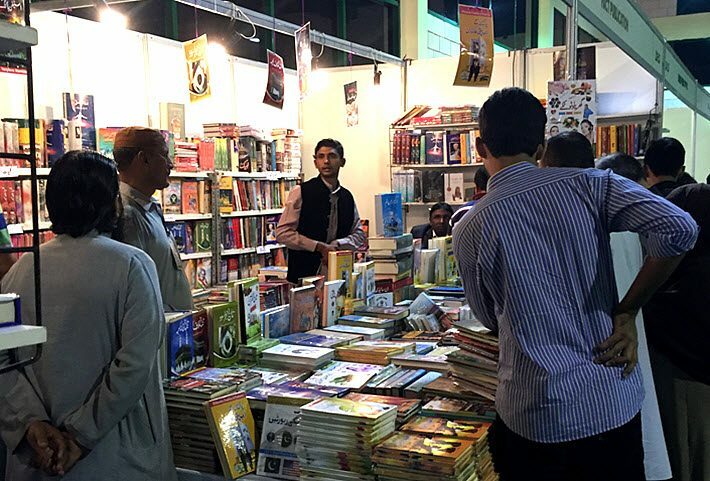 A market with few reliable statistics, Pakistan’s literary leaders work in Western publishing markets and its main play at home is in textbooks. 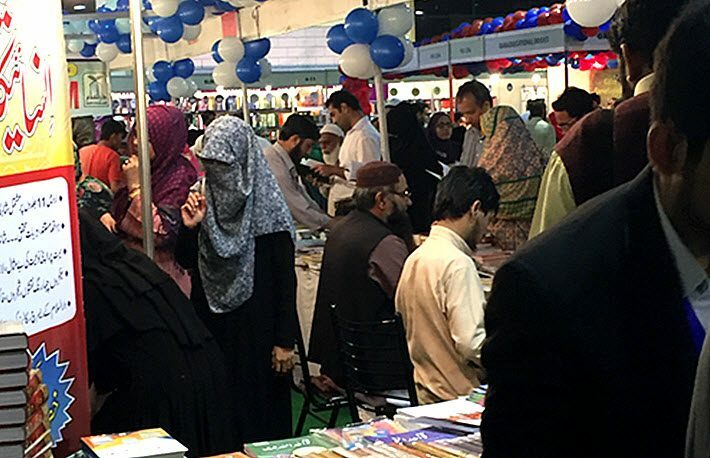 One of the most striking features of the publishing sector in Pakistan—this country which has witnessed more upheavals than many others—is that many of the country’s literary authors who write in English are well known in the West. 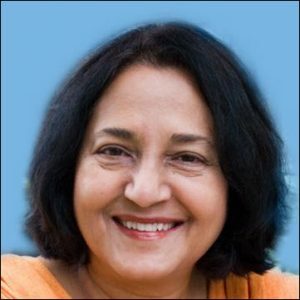 But there is very little literary publishing in Pakistan: while literary writers from Pakistan publish in the UK, the US, in India and elsewhere, there’s no dedicated literary publishing house for English language-literature in Pakistan.Writers including Bapsi Sidhwa, Kamila Shamsie, Muneeza Shamsi, Daniyal Moenuddin, Bilal Tanweer, and Uzma Aslam Khan often have double citizenship. Some of them live in two countries, some spending more time in the West than in Pakistan. “We’ve met with so many hurdles and difficulties,” says Aziz, “that we are just now only starting to collect these numbers” on the industry in Pakistan. “The publishers and booksellers don’t really want to share their numbers, so we can only guess. An interesting player on the scene is the Association for Academic Quality (AFAQ), which not only publishes textbooks but also works in teacher and school-management training and model school development. AFAQ has exhibited in Frankfurt. Another regular exhibitor in Frankfurt is Paramount, both an online bookseller and a publisher of schoolbooks for private schools. The company also produces locally authored medical books and exports to the Middle East, India, and Africa. Boks account for some 20 percent of Paramount’s annual publications. 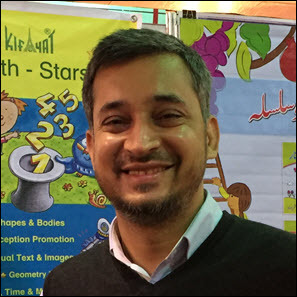 Saeed has also made the trip to Frankfurt, along with a cohort of 50 or more Pakistani publishers a year. But Pakistan itself has had a national stand on the trade show floor only once, in 2009. When asked about the biggest challenges in the Pakistani market, Aziz tells Publishing Perspectives that piracy is the uppermost barrier. “The piracy problem [in Pakistan] is colossal. My estimation is that the market of pirated books is bigger than that of genuine books. “What is most worrying is the mindset: there’s a widespread perception that piracy is justified, indeed necessary, in a poor, Third World country on the grounds that students and readers generally need cheap books, that imported books are exorbitantly priced, and that royalties and profits go out of the country. The impact on the Pakistani economy of the Afghan wars. Nevertheless, as the country becomes more stable, the Publishers and Booksellers Association is more active, observers say, and supportive of publishers and measures to curb piracy. It’s also promising that the association is in the process of collecting data on the market in Pakistan. In the future, we should know more. Claudia Kaiser is vice-president of business development for Frankfurt Book Fair.